As reported before, Apple executives and FDA officials have met a few times in the past. The most recent meeting was in December, 2013. This last meeting excited many as they had speculated that the discussion may have been about iWatch. 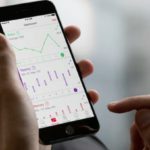 A group of senior Apple executives met with directors at the United States Food and Drug Administration in December to discuss mobile medical applications, according to the F.D.A.’s public calendars that list participants of meetings. Jeff Williams, senior vice president of Operations at Apple, met on Dec. 13 with Margaret Hamburg, M.D., Commissioner of Food and Drugs at the FDA. I would like to know more details concerning what specifically they talked about. What were the topics or issues? And what did Apple want from the FDA and what did the FDA want from Apple? Why did they meet? Will they meet again? What was the conclusion? Please give us as much detail as you can share. After almost three months we received our official response. From the response (copied below), Apple and the FDA talked about how the FDA would regulate new, innovative products with sensors. Apple has already hired new sensor experts. Also, previous rumors stated that iWatch may include a number of health sensors. The document also specifically gives an example of a glucometer. This may show that Apple wanted to learn more about how the FDA would regulate a device with a glucometer. As previously reported, iWatch may include a glucose monitoring feature. Purpose: This was an external meeting between FDA and executives of Apple to discuss mobile health. 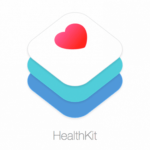 Apple thanked FDA for the Mobile Medical Apps guidance. From their perspective, they said it was fair and they were pleased with the balance. Apple has received inquiries from Congress regarding whether the guidance is too heavy-handed, but Apple has responded praising FDA and the guidance document. Apple noted that while the guidance is a step in the right direction, industry is always going to be pushing the boundaries. Apple sees mobile technology platforms as an opportunity for people to learn more about themselves. With the potential for more sensors on mobile devices, Apple believes there is the opportunity to do more with devices, and that there may be a moral obligation to do more. Sensors already exist on medical devices. For instance, Apple’s devices have cameras and accelerometers. There is still an opportunity to innovate, but Apple wants to make sure they are on the side of the FDA. Under the current regulatory scheme, FDA will review a device based on the manufacturer’s intended use for the device. With regards to sensors, the presence of a particular sensor will not necessarily lend the device to FDA regulation. Instead, FDA would be more likely to regulate the software that puts the sensor to use, if use of the software alters the device’s use to be a medical device. The current mobile medical app guidance indicates that FDA does not view apps that are purely educational or informational as medical devices. Apps that actively measure something are considered diagnostic. For instance, a glucometer would be considered diagnostic because it measures blood sugar; it would not be considered merely information although it “informs” the user of the blood sugar level. The display screen of the glucometer would not be regulated, as it only receives the data and shows it. The software that does the measuring is the part that is regulated. FDA will regulated based on the intended use of a device. Using the glucometer example, the glucometer may be unregulated if the intent is for a user to follow their blood sugar for the purposes of better nutrition. If the glucometer is marketed for diabetics, however, it would more likely be regulated as a medical device. FDA looks at how devices are actually used. If the manufacturer advertises the device for an unapproved use of FDA sees a lot of off-label use that is potentially dangerous, FDA may regulate after the fact. 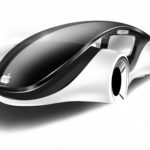 Apple will work closely with FDA as they develop future products. 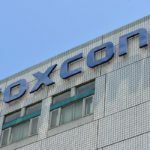 The earlier FDA is involved and advising, the less likely that Apple would be caught by surprise later when they wish to release a new product, if that product must be regulated. The iWatch: is time on Apple’s side? The proactive approach that Apple took here is what is most important, and it sounds like a fair and even tempered discussion with boundaries and guidelines clearly defined. I think at times, based on what happens internationally by comparison, the FDA is clearly slow and heavy handed in its work. This does not sound like one of those time.